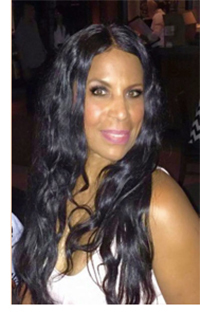 Kamille Dawn Tirzah is an International Celebrity Ideal Body Weight, Ultimate Health Coach, Medical Weight Loss expert, Certified Nutrition Specialist and Wellness consultant to physicians and corporations and YOU! She is the author of Fat Chick to Cover Model, an Amazon Kindle book, sharing how she shed over 100 pounds! She is the creator of a ground breaking Weight Loss Program titled, Lean Body Principles - Lose Fat Weight Fast! Secrets Your Doctor Didn’t Have Time to Learn! It is a comprehensive audio nutrition and coaching program based on principles that have helped hundreds of her clients lose weight and keep it off. Kamille is a hero and role model for all. She not only talks the talk, she walks the walk! 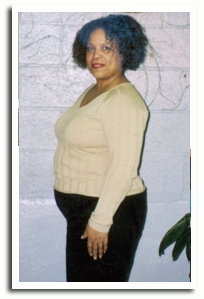 She conquered obesity, low self-esteem and poor health. She has been seen by millions around the world for being on cover of People Magazine, interviewed by Robin Roberts of Good Morning America and highlighted on ET for her weight loss success. Coached by a celebrity fitness star, Kamille brings a wealth of information from the fitness and medical industries and fuses it with a holistic approach to address Body, Mind, and Soul! She helps her clients put an end to the issues standing in the way of weight loss success by turning their dreams into reality. 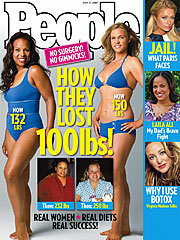 I lost over 100 pounds with the help of celebrity fitness expert, Victoria Johnson. With all the secrets I learned from her and through my own experience, I have helped hundreds of people from all walks of life. I have become a licensed Trainer and a Life Coach for others who were struggling as I was. I am new to Florida, a transplant from the Pacific NW. I’m loving the weather, tropical trade winds, and the beautiful variety of people from all different cultures. Yet, despite the amazing perfect bathing suit environment, there are still so many unfit people who I think would enjoy life better if they were healthy enough. It takes energy to live the life of our dreams and desires. It takes an open mind that comes from healthy eating to help give us clarity to make better business choices thus resulting in more prosperity! It is true, the most wealthy are the most healthy! But there’s good news and I am here to help! 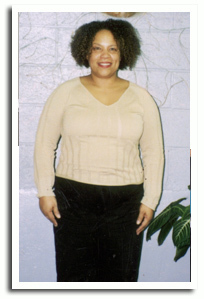 To give you an image of my past life, being 100 plus pounds over weight was not heaven on earth. I felt so invisible though I was physically so huge. I hated myself, not for the person inside, but for the person I would see in the mirror, so mirrors became a tabou for me. I would look at myself only long enough to tend to my daily hygiene needs, but that was it. I felt lost, lonely, and no matter how much I tried to lose weight, even after trying numerous diets, I was never successful. I had given up hope. Then, as an answer to prayer, I meet fitness expert and celebrity Victoria Johnson. I found out she was holding private dance fitness classes and I asked if she would let me join her group. Though she only trains other trainers and NBA rookies, and other celebrities, I was ecstatic to find out that I was in! With her help and dedication she mentored me and taught me much of what she knows about health, wellness, weigh loss, and fitness. It took me three years to lose the weight. I am still working toward my goal. I have about 15 more pounds to lose, but I will never again be that woman who could not look in the mirror. Now, I can't stop looking at myself!!! I have confidence, I move with grace and style, and I know I am alive only because Victoria took the time to help me. Now, I help others as well. My dream is to have my own private studio where people from all over the world can come and dance, have fun, get fit, and lose all that unwanted weight they couldn’t lose on their own. It takes the power of two and sometimes many to achieve goals that are worthwhile. So, I am hoping that my story has helped you to not give up hope, to not give up on your dreams, and to finally take one more move to the best journey of your life! I remember being a very young girl when I realized I wasn’t pretty and I wasn’t the ideal weight, so for years and years I struggled with food. I ate because I never felt full or satisfied. When I came into my teen years, I dropped 25 lbs and all of a sudden I became noticeable. I was no longer invisible. This freedom only lasted until I became pregnant with my first child and from there the weight continued to increase. I tried many diets over the past twenty years and I failed them all. My last weight lost attempt was a system where I took supplements that contained ephedra. I thought it would be safe as long as I didn’t stay on it too long, but after one year, I only lost 30 lbs and I began to have heart palpitations, so I discontinued the products. The herbs help curb my appetite and when I stopped taking them my will power to stick with the right foods wasn’t strong enough to keep me in a weight loss mode. I became divorced 1 year ago and have been living on my own for 3 years now. The failure of my marriage and my inability to loose weight set me in a deep state of depression. I work for the School District as a 5th Grade Teacher. My District was having financial difficulties and the teachers agreed to take pay cuts to save jobs. My income was cut by $400.00 a month from an already tight budget. The pressure of work, mentoring two student teachers, taking care of a full house again and then finding out my blood pressure was high took me to such a low place. Then I met Victoria Johnson. Through her, I’ve gained the knowledge and confidence to be successful. I attend her weight loss class and exercise with her on Saturdays. I’m taking quality supplements and I’m turning this into a business. I’m discovering that it s not about weight so much as its about taking control - taking back my power. I prayed for a trainer, a helper to help me escape from this emotional prison and God sent me Victoria and a group of women friends who are helping me through this journey. 18 lbs later, I feel energetic, I m healthier and I have hope. I am truly blessed.